Cachiccata trek to Machu Picchu, Inca Trail is popular and permits sell out fast which is why we advise you to book six months in advance. Permits sell out 4-6 months in advance, when this happens we offer the Alternative Trail which is not subject to permit restrictions. This four day trek takes you through remote villages, past stunning mountains and untouched Inca ruins. 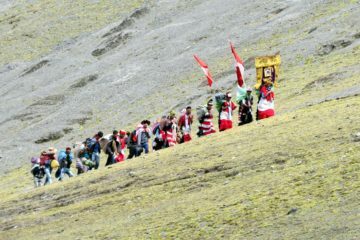 It reaches altitudes of 4,400m and is a route less travelled. On completition of the trek we’ll transfer you to Aguas Calientes and you’ll then take the bus up to Machu Picchu. 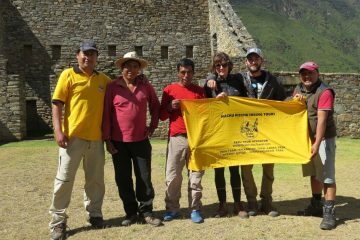 The Alternative trek can be added to any Inca Trail trip based on minimum numbers. 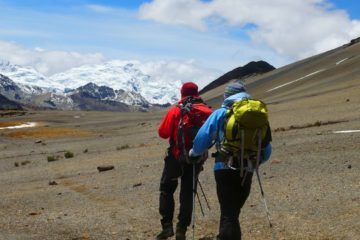 The Cachiccata Trek is a great alternative to the famed Inca Trail hike. The Cachiccata Trail was built by the Incas and used for hundreds of years to access local communities and transport goods. This trail is not as well known as the classic Inca Trail, so expect far fewer crowds and a more serene Peru trekking experience. This hiking adventure not only visits Peru’s cultural past, but also explores modern Incan communities and customs. The trail takes us through secluded waterfalls, ancient terraces and exotic wildlife, all the while delivering fantastic views of the Sacred Valley and Peru’s commanding snow-capped mountains. Visit with local families and explore an active quarry. Every step brings a new look into Inca culture. An early start takes us up hill and through some small farms. We reach the highest pass from which we savor the view of several snow-capped mountains. After lunch in Mamacocha, we head to Choqetacarpu (a small Inca site) where we will camp. We prepare for a spectacular sunrise. The first sunbeams hit the mountain, called Waccay Willca (Veronica). We take time to explore the area including the Inti Punku (Sungate), an Incan structure that frames the Waccay Willca mountain. After our breakfast we hike to the quarry of Ollantaytambo to search for lintels (big pieces of pink granite) that were carved by the Incas. Along the way, we will see Chullpas (Inca burial places) tucked into the sides of the mountains and finally we end our hike in the town of Ollantaytambo where we settle in a small hotel and a dinner in one of the many local restaurants. After an early breakfast, we walk to the Ollantaytambo train station in order to take the first train for a 1.5 hour train ride to the town of Aguas Calientes. (the train winds through the river valley with changing climactic zones, views of the majestic mountains and glimpses of ancient ruins). From Aguas Calientes, we take the shuttle bus for 30 minutes to the Inca site of Machupicchu, where we enjoy a private, guided tour followed by time to wander alone. In the afternoon, we return to Aguas Calientes and board our train back to Cusco. RT Train ticket from Ollantaytambo and Aguas Calientes to Cusco. Shuttle bus from Aguas Calientes-Machu Picchu, and Aguas Calientes to Machu Picchu. Full-time Professional English-speaking guide; (2 guides for groups over 9 people). Cook: meal preparation. Porters: Carry tents and group equipment. Personal Porter: Carry backpacks, sleeping bags and mattresses (Max. 8 kilos/ 17.4 lbs per person). Meals: 3 Breakfasts/3 Lunches/3 Dinners/3 Snacks and afternoon tea. Equipment: tents (2 people in each, 3-person-capacity), sleeping pad, dinner tent, special biodegradable bathroom tent, kitchen tent, tables and chairs, table settings, first aid kit, including emergency oxygen bottle. 3* Hotel accommodation including breakfast buffet in Ollantaytambo or Aguas Calientes. 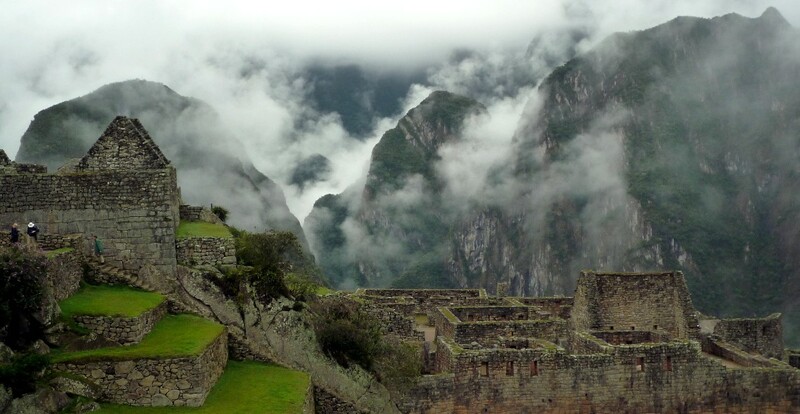 Entry to Machu Picchu National Park and private, guided tour. Domestic airfare from Lima to Cusco and Cusco to Lima.